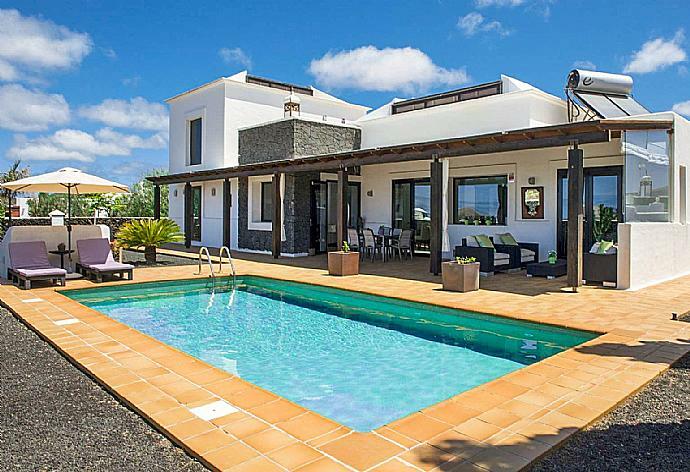 Villa Longa is located in Yaiza on the Spanish island of Lanzarote. This detached vacation rental property is air-conditioned and sleeps up to 8 people (6 adults and 2 children) with 3 bedrooms, 3 bathrooms along with private, heated, swimming pool (South West Facing) . The villa is walking distance to restaurants. Additional Pool Features: Heated Pool, Sun Beds, Pergola and Sunset Views. There is also a Barbecue. Very well appointed villa and very comfortable. The villa is lovely and would recommend, if a few details were checked. All in all it is a wonderful place to stay. We found everything we needed. tranquility and peace and quite. Villa Longa was definitely an joy to stay at. Overall we had a good holiday. The villa is very well equipped and very comfortable and clean. The outside space is lovely with plenty of room. The area is quiet and peaceful. We enjoyed the peaceful location with sea view and sunsets and the large pool,although the shallow end at 1.4M maybe too deep for children.The main living area is spacious and the kitchen is impressive - we enjoyed using it. The beds are very comfortable and the air con was new and effective. All very clean and the pool serviced twice in our 10 day stay. Overall a good holiday and with some tweaking this villa could be 5 star. We have been to Lanzarote over 10 times now. Have visited Yaiza on several occasions. And this was the first time staying there. It was definitely the right choice. We love the weather rin Lanza, however, this was away for the normal tourist trails and that suited us perfectly! Villa was spotless on arrival and OMG that huge pool! Warm, almost hot water! The rest of our holiday vacation was the best! we stayed a Villa Longa for a week. We are a family of 6 (children aged from 8 - 18) and you cannot appreciate the size of this villa from the photographs. The garden has wonderful aspects to enjoy full sunshine whilst also offering a large covered area aswell. The villa is well equipped and I found it to serve well as a â€˜home from homeâ€™. The beds were very comfortable to sleep in. We found communication with the Agents to be extremely efficient and helpful at all times. July 2018. 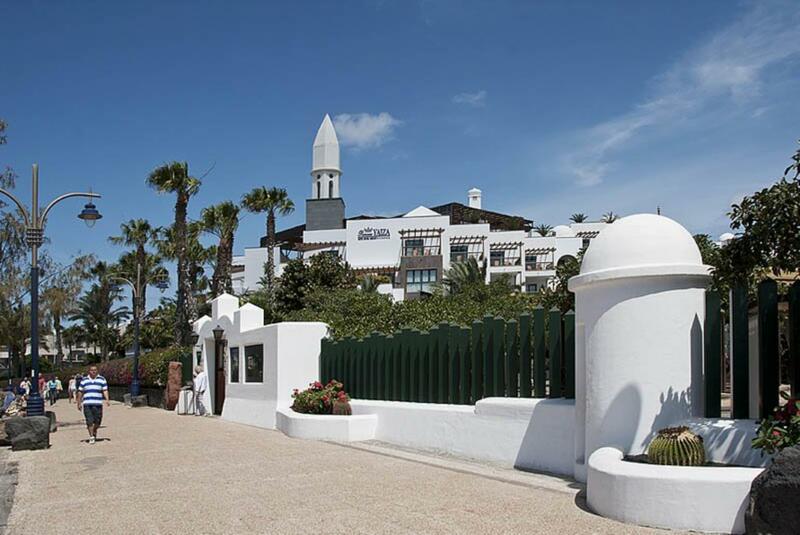 Voted as the 'Prettiest' village in Lanzarote, Yaiza is a traditional Spanish village located above Puerto Del Carmen. Colourful planting has created a wonderful contrast to the volcanic backdrop, and this combination has resulted in Yaiza winning the coveted title of prettiest village in Spain, not once but twice over recent years! But don’t expect a throbbing town! 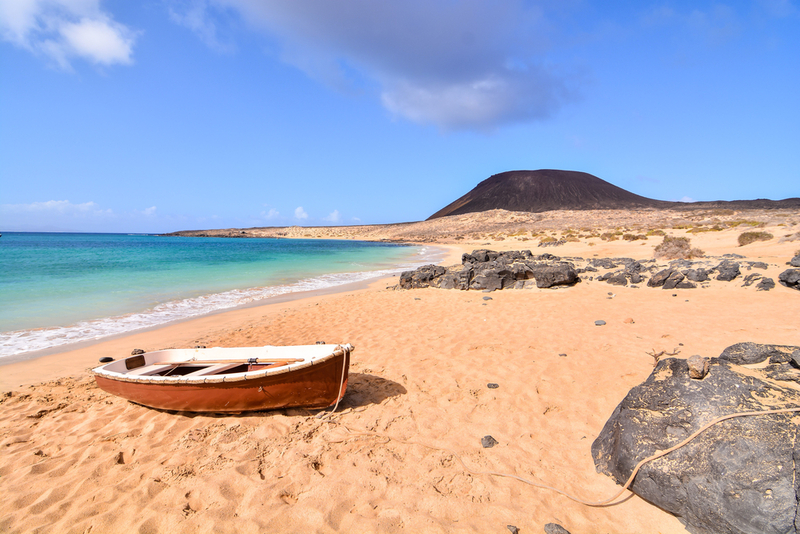 It's for those in search of the more authentic and traditional Lanzarote! Villa Longa was booked Yesterday!